Totally unbeknowst to me...she just rocked up with the completed shorts randomly one afternoon (as sewing friends are apt to do)! How stoked was I and Cooper? Ok OK hint taken (but thanks for the kick up the bum hun ! ), I am ONTO this! He picked this pose (I swear)! Sorry Elle I don't (as yet, I will remedy this!) 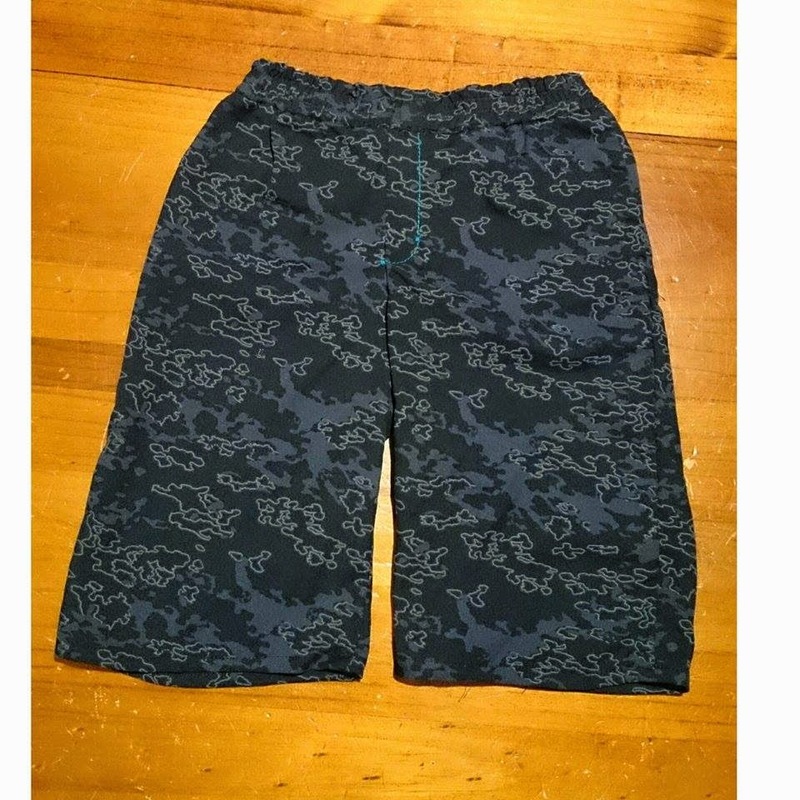 have any of your original [camo skater] pair being modelled. In my defense: they ARE getting worn so much (often in the process of being washed or on the line) that usually the photo op is missed by the time I think of it! 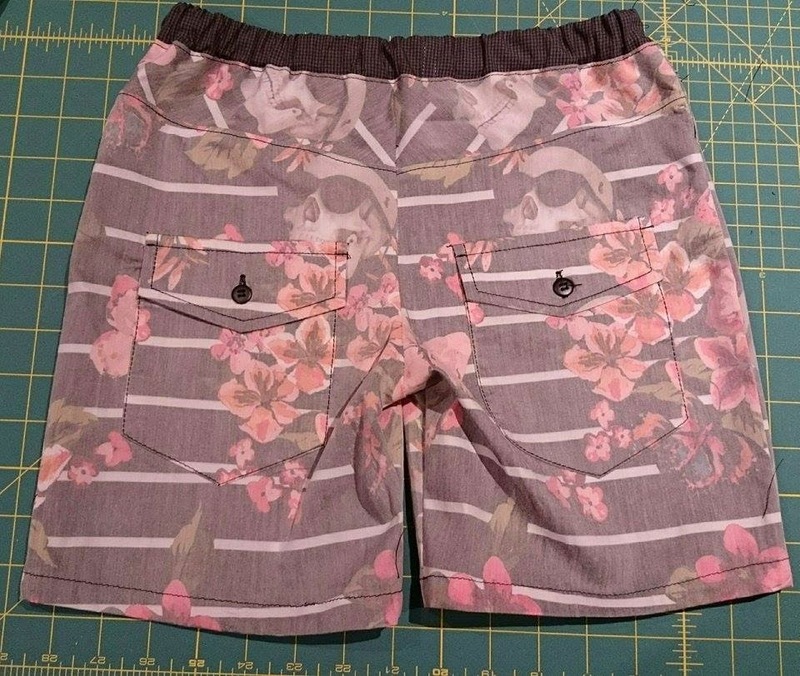 Will try and get a pic so everyone can see the difference in fit an extra 5/8" in seam allowance gives. As to the pattern? It's a FREEBIE!!! You can find it here. Be aware that I ended up with the side seams of my legs not matching up exactly at the side seams- given that I did not really refer to the instructions this could be an "operator error". If this happens to you? No probs, just do what I do and cut a nice new (straight) bottom leg hem-equidistant from the crotch seam- on each leg. If you only have shears I would pin the legs together after marking to make sure there's no distortion from lifting up the fabric to cut. 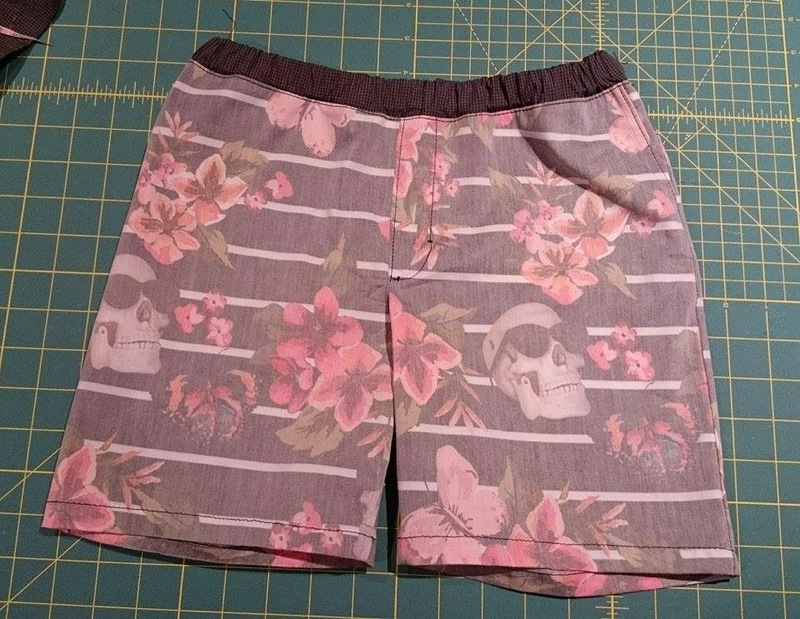 Happy [boys skater/boardie shorts] Sewing!